A home mortgage is a real estate loan that provides you with funds needed to purchase your home. With a home mortgage, you are required to make minimum monthly loan payments to your lender until the loan is paid in full. For many consumers, the home mortgage payment is the largest single expense in their budget. Furthermore, this may be a monthly payment that you are required to make for up to 30 years, depending on the loan term that you select when applying for a mortgage. With this in mind, it is clear that you should take time to fully understand your first mortgage. As a first step, you should work with a mortgage lender or mortgage broker to get prequalified for a home loan. Through this process, you can learn what the maximum loan amount you may qualify for is as well as what the estimated monthly payment on that mortgage will be and how much money you will need to pay as a down payment and closing costs. Ultimately, getting prequalified early in the home buying process tells you how affordable it may be for you to buy a new home. While getting prequalified will tell you what the maximumhomeloanamount you qualify for is, keep in mind that you should also run your own calculations to determine what monthly mortgage payment is affordable for your budget. In many cases, the highest mortgage payment that you are approved for may be affordable. However, if you have additional expenses like credit card payments or childcare expenses that others don’t have, or if the down payment is so large that it would empty your bank account, you may consider opting for a more affordable property. 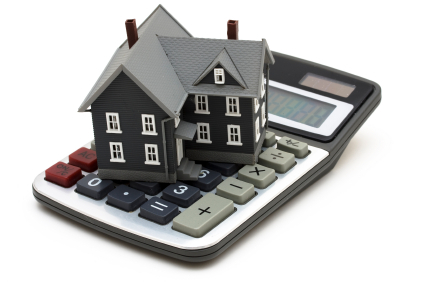 Keep in mind that your budget after buying the home should included expenses for home maintenance and repairs. As a final note, you should take time to fully learn about loan terminology. Loan terminology can be confusing, but it is imperative that you understand all of the requirements and conditions of your loan before you assume this financial responsibility. Take full use of your mortgage banker or lender to get answers to the questions that you have. You can also conduct your own research online. When in doubt, always ask questions and seek clarification. It is better to ask too many questions than to fail to ask important questions. For example, you should fully understand the differences between an adjustable rate mortgage and a fixed rate mortgage, and you should understand which option is best for your specific needs and why. In Australia there are many different mortgage brokers. Seeking out a mortgage broker will help you understand what options are available, and what suits you best, and can help you use a mortgage calculator. The fact is that a mortgage is a major financial responsibility, and it may indeed be the largest financial responsibility you take on over the course of your lifetime. You should follow these tips to ensure that you can get prequalified for a mortgage that meets your buying needs, that the mortgage that you apply for is affordable for you and that you understand all of the terms and conditions of your loan fully. By following these steps, you can be a savvy, informed home buyer when applying for your first home mortgage. So, did you understand all that was involved when getting your first mortgage? What was your approach? I made it my mission to fully understand as many aspects about my first mortgage as possible–I reached out to friends/family, asked my broker tons of questions, talked to my real estate agent, and read countless books/blogs/sites to be the most informed consumer I could be. I think that is great. You really can make an informed decision that will work out well when you take the time to do your research and fully understand all that is involved. I think this approach is good for life in general.